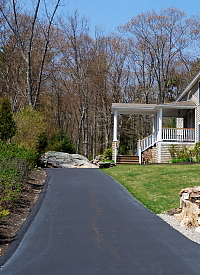 If you’re building in a subdivision that doesn’t have restrictions about driveway surfaces, you may find an asphalt driveway to be a good fit. Asphalt can be much cheaper than concrete. It does not, however, offer the same strength and durability of concrete. But that does not mean that you can’t get many years of good service from an asphalt drive. 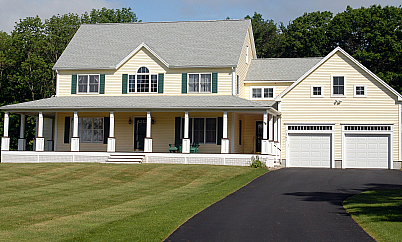 A well-compacted gravel base will provide the strength that makes for a long-lasting surface. The gravel base should be wider than the asphalt area to enhance strength on the edges. Grass cover will make that extra gravel area invisible. Asphalt sealers are available that will help even more. Do not, however, apply a sealer until the asphalt sufficiently cures ─ a period of six months to a year.